Carolyn Wentworth selects a plant as members of the Friendly Garden Club Traverse City plant the flower bed in the Open Space. 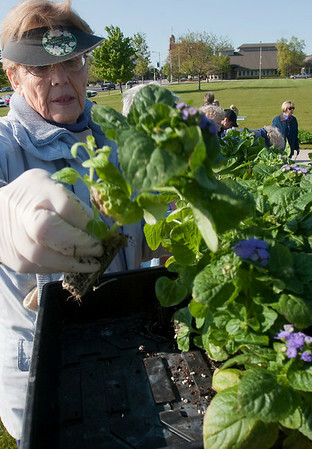 The bed has been planted by the 60-member community service club since 1987. This year, the 5,800 plants provided by the agriscience-Nature Resources Program at TBAISD Career-Tech Center.